Violet-green Swallow: Have you seen this bird? The Violet-green Swallow, Tachycineta thalassina, is a small North American swallow. Their breeding habitat is semi-open areas in western North America from Alaska to Mexico. They nest in cavities in a tree or rock crevice, sometimes forming small colonies. 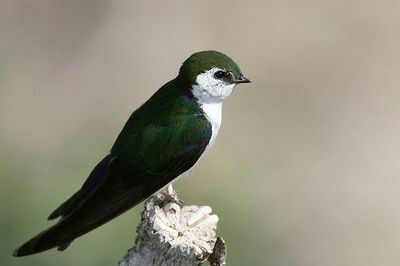 The Tree Swallow is most similar to the Violet-green Swallow. The Violet-green Swallow has white patches that extend further onto the sides of the rump, a white area that extends behind and over the eye and greener upperparts. They migrate in flocks to Central and northern South America. These birds often forage in flocks, usually flying relatively high but sometimes flying low over water. They eat insects including mosquitos, butterflies, mayflies and moths. 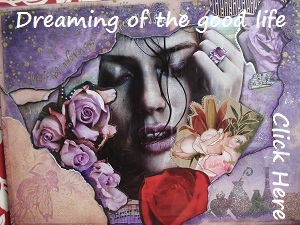 bird that would soar, Kate Chopin, Prejudice, Tradition. Bookmark.